Tens of thousands of people have marched through the streets of Togo’s capital, Lomé, protesting against President Faure Gnassingbé. The number of demonstrators is said to be unprecedented. The internet has been severely restricted. A government concession to introduce a two-term presidential limit through a constitutional amendment failed to dissuade the protesters. 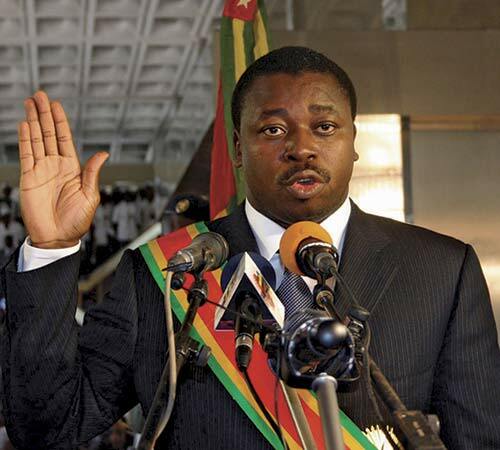 He became president after the death of his father, Gnassingbé Eyadema, who had been at the helm for 38 years. Protesters are calling for the end of the “Gnassingbé dynasty”. Internet speeds are said to be slow and access to social media platforms limited. Government spokesperson Gilbert Bawara told a local radio station that there was an ongoing internet restriction. AFP news agency reported that mobile internet had been shut down in the capital but added that wi-fi networks were still working. BBC Afrique’s Ata Ahli Ahebla reports that demonstrations took place in many cities and that more are planned for Thursday. He adds that the decision by the cabinet to propose a constitutional change to bring about a presidential term-limit has not changed the protesters’ plans. They see it as part of a ploy to extend Mr Gnassingbé’s rule. The protests were organised by a coalition of opposition parties and civil society organisations. 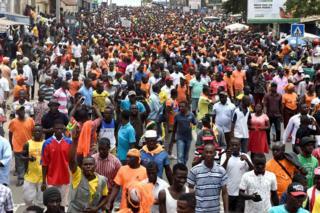 Amnesty International estimated that 100,000 people marched in Lome, many wearing the red, orange and pink colours of opposition parties as they chanted “Free Togo”. “We suffer too much, we can’t even find food. What country are we in? We don’t want Faure any more, he must go,” he said. Local journalist Blamé Ekoué reported that organisers said that they would not relent in their push for a two-term presidential limit and for the release of some of their members who were arrested, charged and sentenced after similar protests last week. In August, two opposition protesters were killed and 13 others wounded when security forces opened fire to break up demonstrations. They chanted: “50 years is too long”.